With its tree-lined boulevards and lakes, its blend of French, Chinese and Vietnamese architecture, Hanoi is the jewel of Asia. Charming pagodas and the “36 streets and 36 wares” of the fascinating Old Quarter will vie for your attention. And there are other famous sights: the impressive Ho Chi Minh Mausoleum, the ancient Temple of Literature, the Lake of the Restored Sword, the One Pillar Pagoda, the Hanoi Opera House, the History Museum, the Fine Arts Museum, and the Ethnology Museum, please look at the itinerary below to have more details. Depart at 8.00 a.m from your hotel on van, we begin to visit Ho Chi Minh, learning a lot about his great life from the complex comprising the Mausoleum, the Presidential Palace, and his residential place. 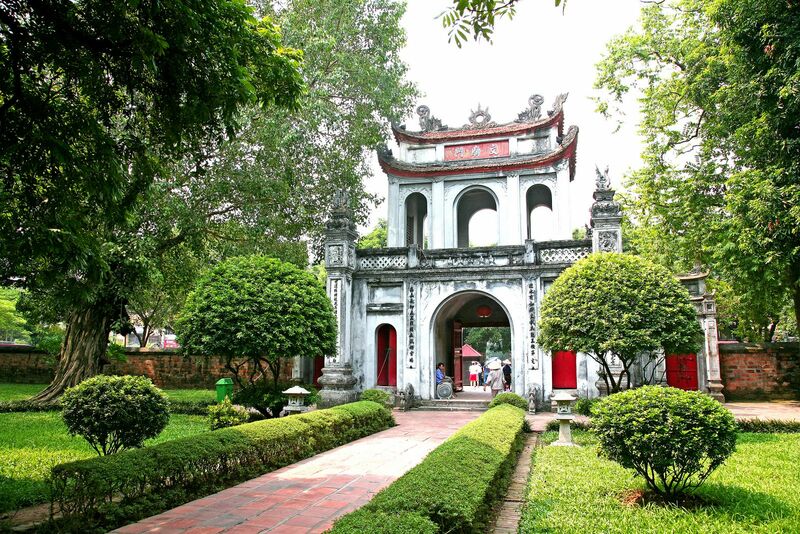 We will be traveling next to the Temple of Literature – the place of the first University and temple for Confucius in Vietnam, followed by a chance to see the performance of traditional music. Lunch will be served at a local restaurant for Hanoi Pho afterwards. In the afternoon, pick up the most interesting one from numerous museums or temples inside Hanoi (Museum of Ethnology, Women museum, History museum or Quan Thanh temple…). Then, walking around Hoan Kiem lake then in the Old Quarter for a great fun and this will help you perceive the typical Hanoian styles and its traditional culture. We finish the relaxing but informative day by attending a very nice show of water puppet; which will show you lots of Vietnamese traditional customs and cultures. Tour ends here.